Over the years, it is often the elderly who suffer a number of eye diseases, many of them not preventable. One of them is ptosis, commonly known as drooping eyelid. This is the sagging of the upper eyelid that causes the eye to become more covered than usual. As a result, patients cannot open their eyes normally, making them tired at the end of the day and making it harder for them to see. Age is not the only cause of this pathology. Others are allergic reactions, muscular diseases, neurological diseases and trauma. While less common, children suffer from ptosis too. This may give rise to a lazy eye as it does not receive enough visual stimulation for normal eyesight to develop. In addition, ptosis can also be congenital, when muscle fibres are not developing correctly and are replaced by fibrous tissue. "The treatment for this disease consists of strengthening the eyelid’s lifting muscle by shortening it slightly. At the Institut de la Màcula, we employ three techniques, depending on the patient’s condition," says Dr Jose Nieto, an ophthalmologist specialising in ocular plastic surgery. 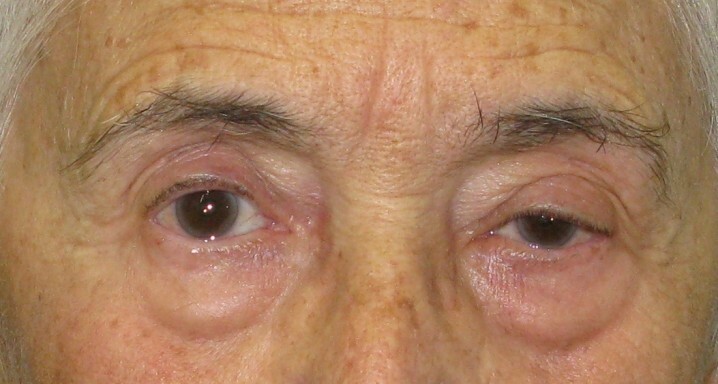 The technique of the anterior approach involves strengthening the lifting muscle through an incision in the natural fold of the eyelid. Meanwhile, the transjunctival approach, or Putterman’s Technique, strengthens the lifting muscle. In this case, there is no scar because no incision is made. If neither technique works, Dr. Nieto recommends a frontalis suspension to connect the lid to the frontal muscle. This enables patients to open their eyes on raising their eyelids through the movement of this muscle. After surgery, patients should use ointment and eye drops as well as cold applied to the affected area to reduce bruising, which will disappear in a maximum of two weeks.